Great opportunity for someone interested in fundraising or business development! Our interns are an integral part of our team. With a small group, most of our projects are all-hands-on-deck and we encourage interns to actively engage with events and strategies. This particular position includes direct and indirect engagement with high-level business leaders and senior officials that are critical to the work of the Council’s eleven programs and centers, including Members of Congress, ambassadors and heads-of-state, cabinet-level officials, and CEOs. This position will include active engagement with the Gala and Development team in the Office of External Relations to assist with current Council donor stewardship, as well as prospecting and developing new Council partnerships in coordination with the Distinguished Leadership Awards and Global Citizen Awards fundraising campaign. As such, this position includes working in coordination with the Executive Office and will expose the candidate to the logistical elements of think tank constituent relations, event-planning, and project development for internationally-known figures. Successful candidates will have a passion for the work, a proactive and entrepreneurial ethos, and a collegial spirit while also being an effective communicator and enjoying the fast pace of learning and growing in an organization with minimal supervision. Demonstrated interest in being part of a fundraising campaign, international affairs and/or business development through class work and/or experience is strongly preferred. Positions are unpaid, but candidates gain valuable skills, experience, knowledge, and contacts in the Washington, DC international policy community. A monthly metro reimbursement is offered, as well as Interview and Resume Workshops, Networking Sessions, and briefings with our staff and Military and State Department Fellows. Assist with data cleanup and management of the Gala sales campaign in SalesForce. Must be at least a college junior in good standing, a graduate student or a recent graduate. Must have at least a 3.0 GPA (out of 4.0) scale, or equivalent from a non-U.S. institution. Excellent writing skills, demonstrated by a short writing sample. Communicate well with others and interact professionally with senior figures. Be able to combine quick work with extensive attention to detail. Experience using a CRM database (Salesforce) preferred. Be an independent, self-starter who also works well in a team environment. Be interested in hands-on work in development, planning events, and working with Council supporters. Be proficient in Microsoft Word, Excel, and Outlook. Applicants who are able to work full-time (40 hrs/week) are preferred but not required. International applications are welcome but candidates must be authorized to work in the United States. 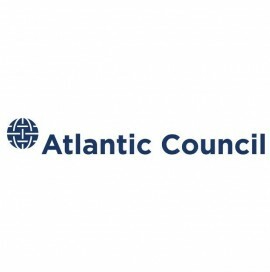 The Atlantic Council does not facilitate visas for internship applicants, but can assist in having a third party sponsor a visa. Internship applicants are responsible for any costs associated with the visa sponsorship. Create a password to keep track of all your applications on Jobwonk.